The Air Jordan XX8 is really making waves in the market and no change is expected after Jordan Brand released an edition themed from one of their signature players. 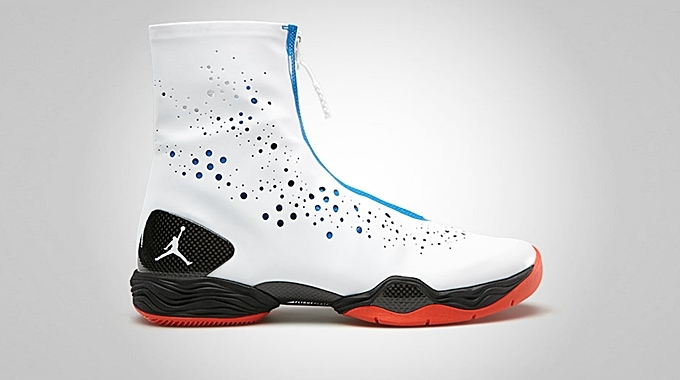 The Air Jordan XX8 is now available in White/Black – Photo Blue colorway, which is known as the first Russell Westbrook edition of this kick. The shoe sports perforated white synthetic leather based with black carbon fiber heel counter and accented by Photo Blue and Team Orange hints that are linked to Westbrook’s NBA team – the Oklahoma City Thunder. If you are after a cleaner-looking edition of the 28th edition of the Air Jordan, then this one is definitely for you!